When planning out either a replacement or brand new DIY toilet installation, you will need to install one or more seals in order to prevent leaks and ensure proper function. If you’re not up to the task, you can always ask yourself: “Should I just pay a few hundred bucks to save myself the hassle?” It’s not a bad idea to hire a handyman for your plumbing needs. However, if you’re used to these types of DIY tasks, by all means, read on! The types of toilet seal available on the market are numerous; some are wax-based, while others are waxless. The type of seal to use is up to you–some are less affordable but do a better job. Your selection should suit the current situation. Some individuals elect to stack multiple wax rings in order to form their seal. We would recommend avoiding this tactic–there are newer waxless seals with longer seals that are better for avoiding leaks when you need a higher seal. Otherwise, read on to learn about the different seal types for your DIY project. It doesn’t get more basic than the original wax ring for your toilet seal needs. Under most circumstances, this should do the trick no problem. The toilet flange should be ¼” above the floor level–if it is, a simple wax ring will likely be all that you need (though better options exist). These seals are typically made for 3-4” drains. You may also find this type of seal referred to as a wax ring with sleeve. While it can be a bit messy, this provides a supremely reliable seal. There are many possible selections ranging from multi-size between 3-4” and extra thick. You can use a regular wax ring with a sleeve if your closet flange is regular height. If the flange is level with the floor or even slightly below it, go for an extra thick wax ring to tighten the seal. Any lower than that and you should opt for a flange extension or completely re-seat the flange at the correct height. 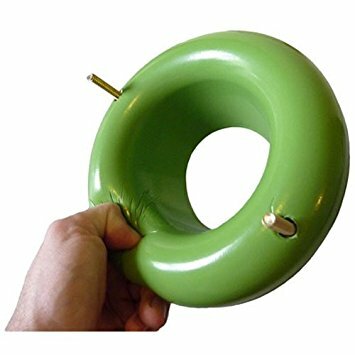 In the event that you’re installing a wall hung toilet, felted wall rings are available to form the required seal. The felt serves to stabilize the wax. These are also used when installing urinals in public restrooms. Sponge gaskets are sometimes employed as alternatives to wax rings with felt while installing wall hung toilets or urinals. They can also be used for floor mounted toilets, though aren’t strictly necessary for the install. They come in a large variety of sizes, so ensure that you’re getting the right one for your drain size. There are a couple of wax-free options available if you’d like to avoid dealing with wax. 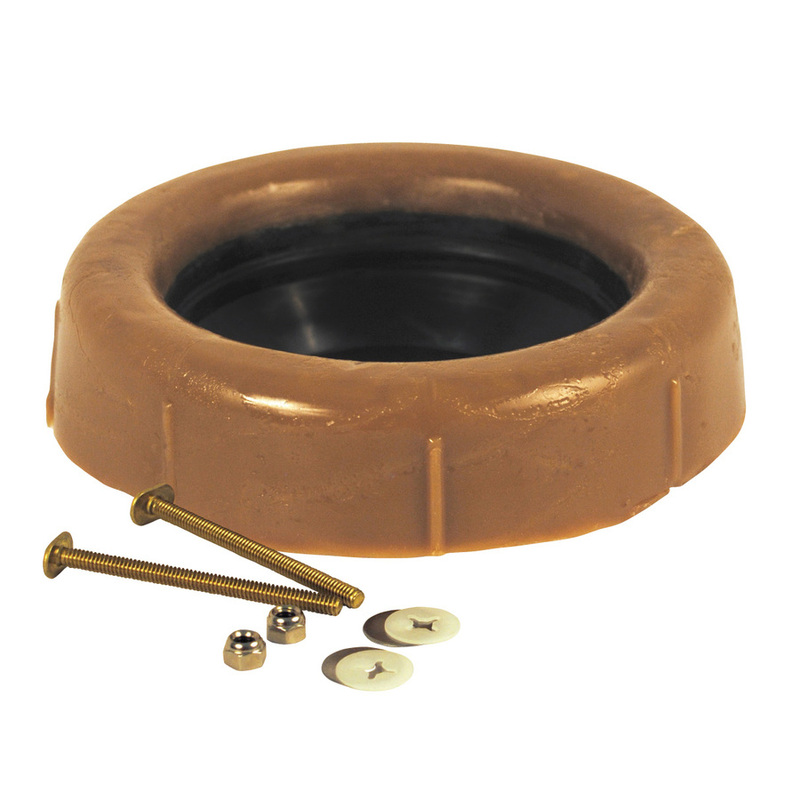 Toilet bowl gaskets come with a rubber seal seated on the bottom of the toilet, along with a deep seal flange with a leak-proof o-ring to prevent splashing up. The o-ring also has the advantage of preventing sewer gas odors from coming up into the bathroom. A foam gasket such as Sani Seal is a soft treated foam that can stack unlike wax seals. The flange height has much more range in workability, from flange heights ⅜” below the floor all the way to ⅜” above it. Is the flange height even higher? No problem, you can stack the foam gasket. Now, you’re all set to install your new toilet!